There are certain aspects one anticipates before arriving at the Adirondak Loj. In the summer, it’s the haunting call of a loon in the evening as the sun sets behind Nye Mountain. When autumn settles in, we trade prospects of loons for the vibrant, variegated leaves that will blanket Mt. Jo. Hope quickly emerges for a crackling blaze upon the Great Room’s stone hearth to allay winter’s chill. Spring brings an interplay of ice and thaw on Heart Lake, closely followed by the budding promise of new beginnings across the forest floor. Young students and venerable explorers alike will soon be found scampering about, characters in a setting as familiar as home. Dating back to the days of Henry Van Hoevenberg, the Finest Square Mile has had many storytellers who’ve chronicled the wonders of the property’s inherent wildness. Even if we are unable to visit each season ourselves, the stories emanating from this place have a way of resonating with us. More than simply evoking pleasant memories, a well-crafted message can inspire us to think critically about place that is bigger than ourselves. Over the past decade, the underlying story of the Adirondak Loj has had one consistent, behind-the-scenes narrator. That person is Seth Jones. Seth grew up in Greece, New York, a suburb on the outskirts of Rochester. As a boy scout, Seth ventured eastward to help plan and execute numerous paddling trips throughout the Adirondack Park. These nascent introductions to wildness would eventually spur him to hike the Northville-Placid Trail, become a 46er, and paddle the entire 90-Miler. 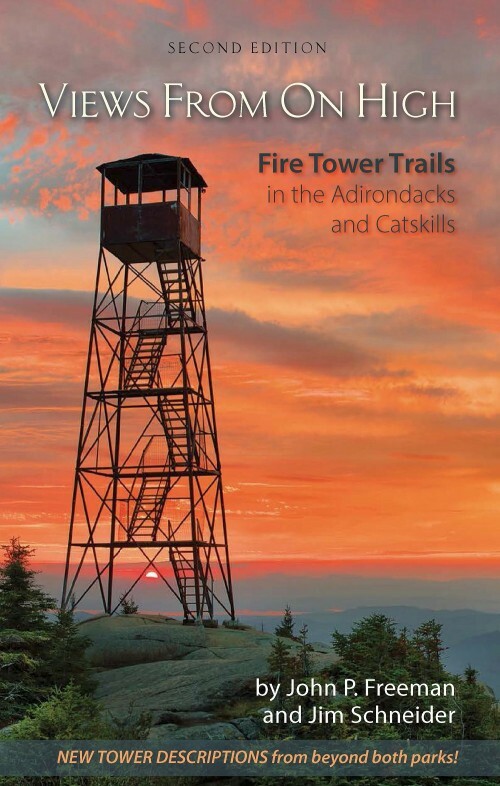 Before all of those grand adventures ever happened, Seth discovered ADK (Adirondack Mountain Club). After beginning his pursuit of higher education at Monroe Community College, Seth eventually steered himself towards a B.S. in Conservation Biology from SUNY College of Environmental Science and Forestry. 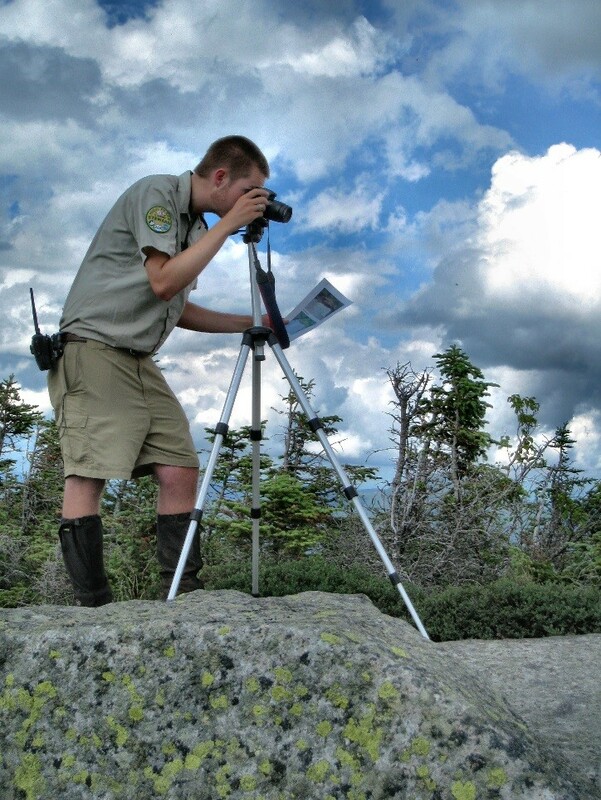 During these college years, Seth applied to ADK as a Summit Steward in 2008. That first year really pushed Seth. He speaks warmheartedly about tripping a lot on the training hikes up Mt. Marcy and Algonquin Peak, which bestowed him with the nickname “butter boots”. Although it was challenging at first, Seth fell in love with hiking mountains and protecting the alpine plants on the summits. Seth continued as a Summit Steward for three years, but then felt like he needed a change. Seth then moved out to Trabuco Canyon, California where he worked diligently to remove invasive species. Before long his heart pined to return to the Adirondack Mountains and after a year working out west, he decided to come back as the Johns Brook Lodge Hutmaster. Hiking the Johns Brook Valley is a magical experience and Seth considers Johns Brook Lodge to be ADK’s hidden gem. After a year at Johns Brook Lodge, Seth then transitioned into the Education Department. His impact on the organization had only just begun. As a rising leader in the organization, Seth offers the torch of preservation to others. When training new staff members, Seth gleefully expounds upon the storied romance between Henry Van Hoevenberg and Josephine Scofield. “They climbed Mt. Marcy and fell in love… If only it could be that easy,” Seth often quips. He goes on to explain that the next generation of ADK employees are unwittingly enrolling into the love-making business. By virtue of facilitating each visitor’s connection with a natural space, these new employees are the next stewards of the Forest Preserve. Fostering a deep appreciation for these wild places in others extends the legacy of the Loj. “Seth is an invaluable member not only of ADK’s Education Department, but of ADK’s programmatic leadership. It is not an exaggeration to say that Seth is the quintessential MVP– he works with every department, from lodging to advocacy to development, to help make ADK the best organization it can be. He steps in wherever needed to fill gaps, often without being asked, and without complaint. He works well with all and is respected by staff and volunteers alike,” says Julia Goren, ADK’s former Education Director. For at least one decade in time, Seth Jones has found his legacy inextricably linked with the beautiful landscape of the Adirondack Mountains. He was recently promoted to Education Director, ensuring that ADK offers a wide variety of workshops to the public that promote responsible recreation. 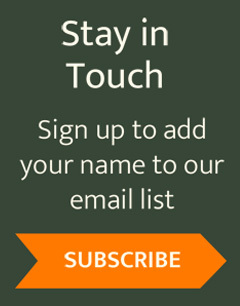 He executes this directive by instructing courses such as Winter Survival 101, Beginner Backpacking, Introduction to Backcountry Cooking, and Outdoor Leadership. 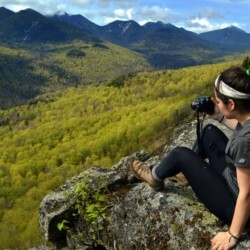 Instilling an outdoor ethic in new Adirondack visitors through various ADK teen programs, such as Advanced Teen Backpacking, Aquatic Stewardship, and the Johns Brook Valley Teen Adventure, quickly became one of Seth’s hallmark successes as an innovative educator. His steadfast commitment earned him one of the prestigious Marie Lynch Haberl ADK Staff Recognition Awards in 2018. He even continues to fill in for other departments, helping the Summit Stewardship Program or Johns Brook Lodge when he can. Why? Because he loves it. Seth leads through photography. 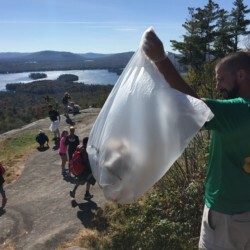 His images, accentuated by well-crafted messages imbued with the tenets of Leave No Trace, populate ADK’s social media pages. Seth leads through his articles. His blog posts circulate far and wide, underscoring his commitment to preserving the spirit of wildness found across New York’s wild lands and waters. Even in his fall foliage updates, he is able to generate enthusiasm for the Adirondacks by sharing the mysteries of nature with a broad audience. 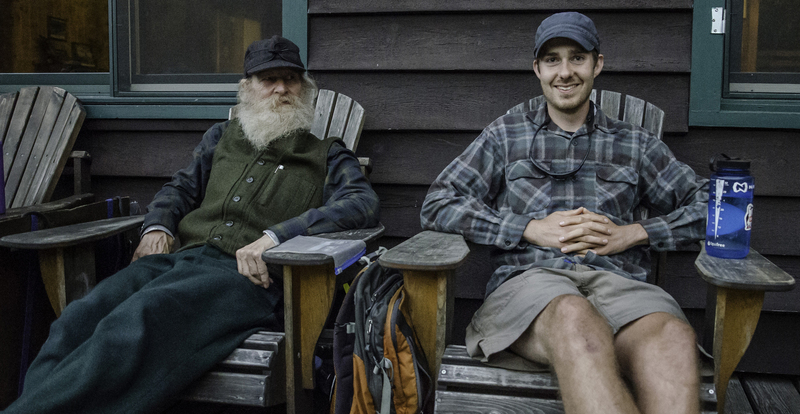 Seth Jones, with his warm and calming disposition, is unwavering in his commitment to the mission of ADK. He leads not through boisterous commands and flashy gesticulations, but gently through example. There are people that come into your life who motivate you, inspire you to reach your fullest potential and lead with passion in their heart. Some might be clad in a seven-piece leather suit, willing to orate The Legend of Indian Pass in front of a flickering campfire. Others are less ostentatious, wearing a vintage folding brim hat, a predicable plaid shirt, light-weight hiking sneakers, and – depending on the temperature –those reliable wool pants. No matter their appearance, a skilled storyteller must be deft at distilling the importance of a message so that it may reach their audience, inspiring them to cherish the subject matter. The essence of Adirondack wildness is open for interpretation. The seasons will continue to change, and the characters who admire them will too. Heart Lake is doing more freezing than thawing of late, and the likelihood of embracing the warmth from the Loj fireplace after returning from Nye increases by the day. The leaves have mostly fallen, save the beeches, yet winter will yield to spring, and spring to summer. Students will return en masse in June, and one might wonder at a strange black and white bird out in the middle of the lake, surrounded by kingly mountains. That student may wonder at the bird’s name, where it came from, and why it matters. As the alpenglow strikes the kingly mountains, a haunting call pierces the evening sky. Thank you for 10 years of resolute dedication, Seth Jones.